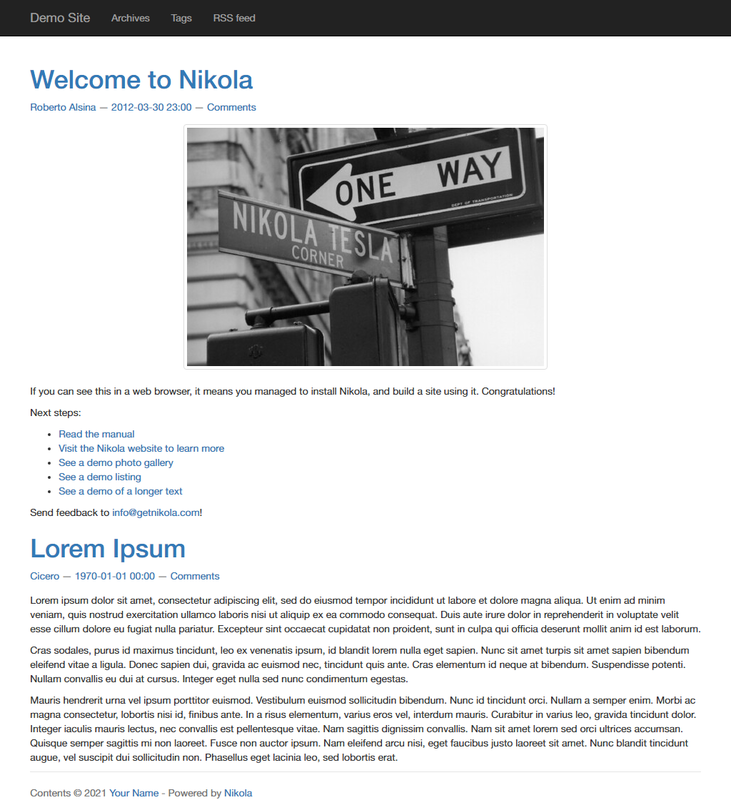 A theme based on Bootstrap 3. There is a variant called bootstrap3-gradients which uses an extra CSS file for a visually enhanced experience (according to Bootstrap developers at least). This one uses the default bootstrap3 flat look. This theme supports Bootswtach font/color schemes (unlike bootstrap3-gradients) through the nikola bootswatch_theme command.